Possibly the worst book title I’ve ever seen. 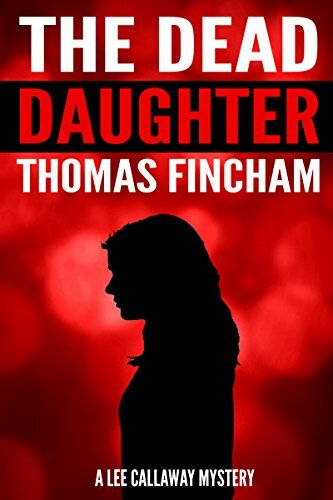 Thomas Fincham’s The Dead Daughter isn’t as bad as its name, but it’s no masterpiece. Kyla Gardener was the daughter of a wealthy couple in the (fictional, I think) city of Milton. When her mother Sharon finds her dead, strangled and stabbed, suspicion falls on her father, Paul. The marriage is struggling, and he’s been sleeping in the guest house. The burglar alarm had been turned off. The murder knife was found in his car, and a smear of her blood was found on his shirt. He himself had been drinking and has no memory of the night at all. But private eye Lee Callahan has information for the police – Paul had hired him to follow Sharon as part of his divorce defense. She was gone that night, not at home as she claimed, and it was she who turned off the burglar alarm. That’s enough to get Paul out on bail, and Lee takes it on himself – out of pure generosity – to try to balance the one-sided investigation the police are running. What he discovers will be shocking. The thing that kept me reading The Dead Daughter was that the story itself wasn’t bad. Lee Callahan is interesting and sympathetic as a character. But the writing was… unfortunate. Amateur. First draft stuff. Holt began to pace the room like he normally did. He was like a bull who wanted to let off steam. It was a family secret, one they did not want the public to find out about. Author Fincham, according to his bio, has written quite a few novels. Apparently he hasn’t learned a thing about writing all through the process. If he’d put some work in on that front, I think he’d be a good novelist. Nice plums of bad writing there!